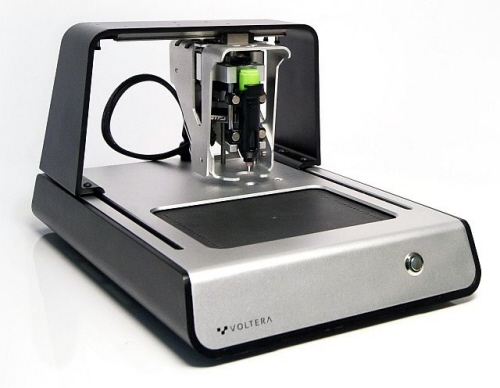 The Voltera V­-One brings quick turn PCBs to your desktop. Import your Gerber file into the Voltera software, press print, and the V-­One will bring your board to life. 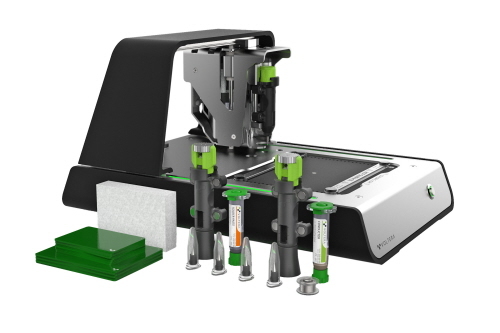 Use the solder paste dispensing and reflow features to mount components onto our printed board, or mount components on a prefabricated board with ease. 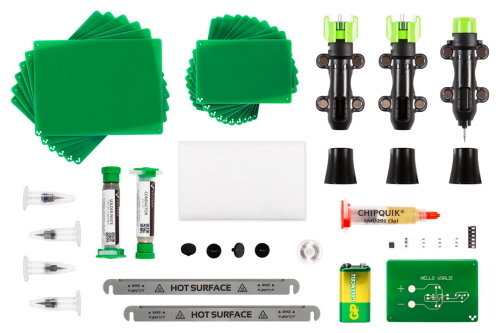 The V­-One includes all the accessories and consumables you need to get started.